Step aboard an ocean cruise ship, your floating resort, and let yourself be pampered, entertained while you are effortlessly transported from port to port. There are options that will delight every vacationer. Cruising is an excellent choice for people of all ages; families, multigenerational trips, honeymoons, groups....anyone! There are many cruise lines and cruise ships to choose from; Royal Caribbean, Celebrity, Holland America, Princess, just to name a few and itinerary options for a few days or a few weeks and destination options around the world. Interested in what there might be to do while you are at sea? Check out one of the new mega ships, Anthem of the Seas. Perhaps you are a seasoned cruiser but are looking for something new to do at ports of call you have already been too. Why not visit an island resort to experience something new and see if perhaps you would enjoy a longer stay on a particular favorite island. Click here to learn more about Resort for a Day pass options to purchase for your next cruise vacation. 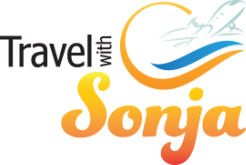 Contact, Travel with Sonja, your Ocean Cruise Specialist to start planning your cruise adventure!